Here's a new layout I made for Scrapbook Daisies (my local scrapbook store) using the new "Just Because" collection from Little Yellow Bicycle. 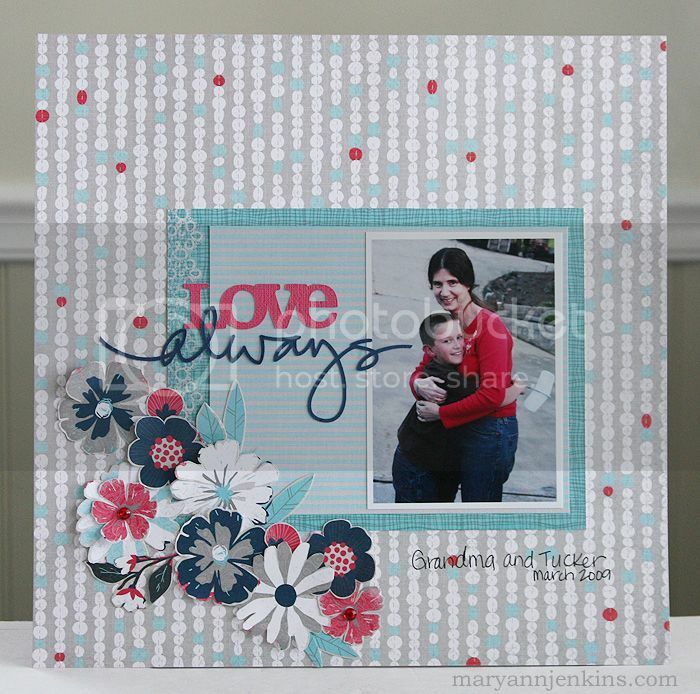 I love the teal, navy and red together! I am soooo not a blue person at all, I'll always pick pink or green (or pretty much any other color first), but I'm loving that so many new collections for spring have navy blue. I can't seem to get enough of it! Definitely something new for me! I did a little fussy cutting for the flowers, added a few rhinestones for some sparkle ;) and used my Silhouette to cut the title. 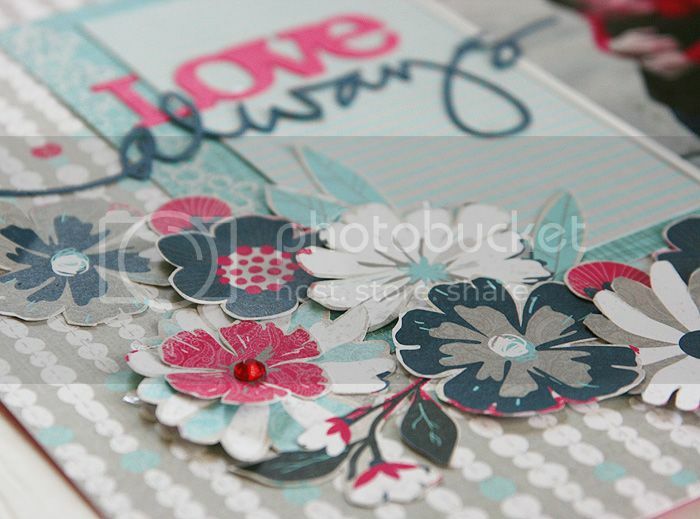 Lovely layout - love the flowers.